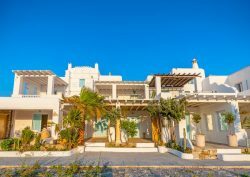 This island, with its special view to the Cyclades islands, gather white sand beaches and crystal clear waters, the charm of the typical greek architecture and a pulsating nightlife. For these reasons is great place to flee from everyday routine and just relax or where you never get bored! We picked for you the well-rated Ornos Blue with great reviews. 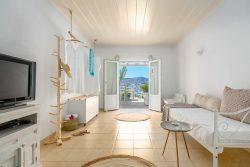 Just 200 m from Ornos Beach, the Cycladic-style Ornos Blue offers apartments with views of the Aegean Sea. Free WiFi is available in public areas. 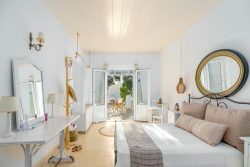 Opening to a balcony and terrace, the white-washed apartments are decorated in bright colours, and include air conditioning and a living room with a flat-screen TV. they also have a kitchenette with cooking hobs, and a bathroom with tile walls and a bath. Ornos Blue also includes a sun terrace. 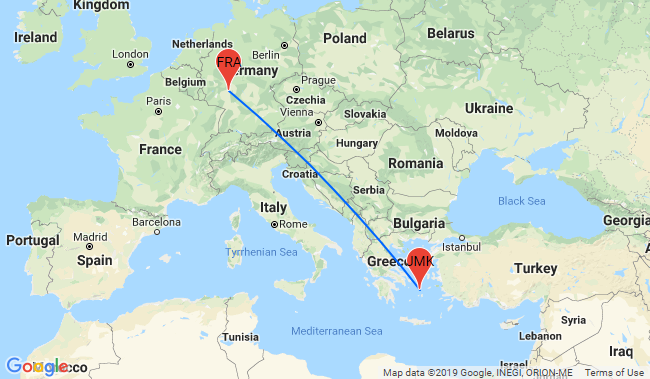 The nearest airport is Mykonos Airport, 2 km away. Free private parking is possible on site. 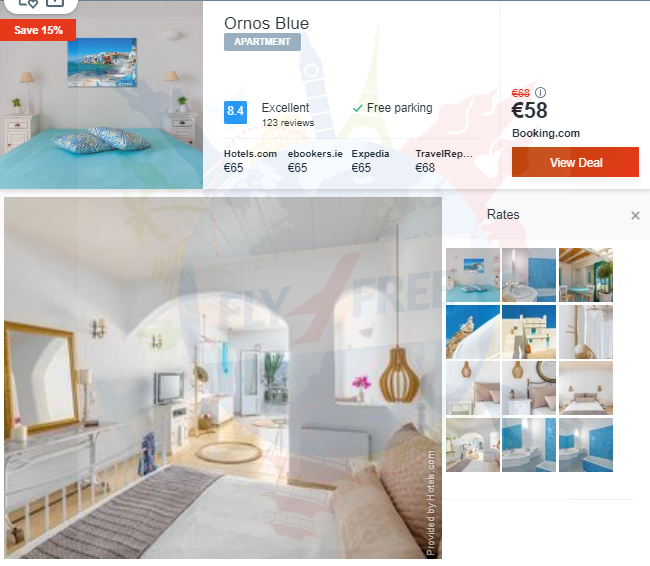 You’ll be staying at Ornos Blue so follow our links and book your vacation!